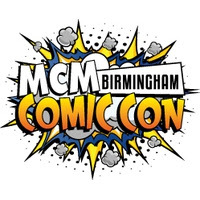 This year was the first time I visited the MCM Comic Con in Birmingham and I'm so glad that I did as it turned out to be a great family day out! It was quite a last minute decision to attend but I decided to take my 8yr old as we usually go to Em-Con so he's getting used to these events and what they entail. Upon arrival, we were greeted by lots of amazing Cos players with stalls as far as the eye could see. The guest line up for the day wasn't as impressive and there wasn't anyone that really interested me, but the scale of the show made up for that as we spend many hours just wondering around the stalls and playing in the game zone so the lack of guests didn't effect our enjoyment at all. The one thing that made this show stand apart for me was the family feel to it. There were kids everywhere and so much was there to entertain them so their parents could also have a fun day without dragging around bored kids. We didn't even get to touch the Comic section so we'll make a beeline for that next year. Kids under 10yrs old go free with a paying adult and we used our family and friends railcard to get there so the day was very reasonably priced. We did spend a fair bit on the stalls, but the day was gifted to me by my other half so I got to enjoy everything without counting the pennies. We'll definitely be visiting again next year as every geekdom was catered for, from Manga to Doctor Who and Nintendo - there literally was something for everyone!